Firewalls are the front-line soldiers, who sit strategically at the edge of your network and defend it from various security threats. Firewalls require constant maintenance and management to ensure that they are accurately configured for optimal security, continuous compliance, and high performance. Manual firewall configuration and change management is a time-consuming, error-prone, and headache-fraught task, especially in today’s increasingly complex and dynamic networks and, for organizations dealing with dozens, or very commonly, hundreds of individual firewalls, routers and other network security devices, manual configuration and ongoing ACL changes can quickly become a management nightmare. If not managed correctly, organizations can find themselves exposed to dangerous cyber threats and compliance risks, which can lead to costly repercussions. The key to keeping up with ever-changing and ever-growing firewall rule-sets is automation.By automating firewall configuration and change analysis, organizations can achieve not only stronger security, but significant operational efficiencies. A network-aware firewall analysis tool is the best solution to perform intelligent analysis and reporting around security rules across all firewall and layer 3 devices in the network. One such tool is Firewall Security Manager (FSM) from SolarWinds. SolarWinds Firewall Security Manager (FSM) is a great solution, offered by an excellent and well-respected company, for the organizations and companies who need expert management and reporting on their most critical security devices. Installing and configuring the product is relatively straight forward and multiple clients can be deployed, allowing more than one administrator to access the system concurrently. SolarWinds Firewall Security Manager (FSM) gives Network and Security administrators an easy-to-use, yet comprehensive tool to view and manage all firewall configurations, rules, objects, interfaces, and problems in one place, even if they are from multiple vendors. With SolarWinds FSM, administrators get in-depth insight into multi-vendor firewalls and Layer 3 network security devices to ensure the right security policies are in place to keep the network and its critical assets (i.e. sensitive data) protected. It ensures the right traffic gets through and the wrong traffic is kept out. 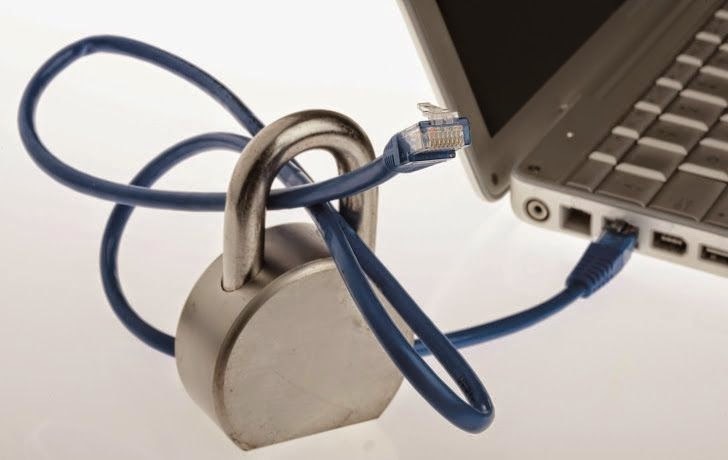 Misconfigured firewall rules pose severe risks to IT environments. SolarWinds Firewall Security Manager enhances the security and compliance of complex networks with its automated audit capabilities. FSM examines how the combination of ACL rules, address translations, routing tables, VPN tunnels, and anti-spoof settings all work together to allow or deny services through the firewall. It leverages more than 120 customizable,out-of-the-box checks based on industry standards, including NSA, NIST, SANS, and CIS. Each check has an associated severity (high, medium or low). 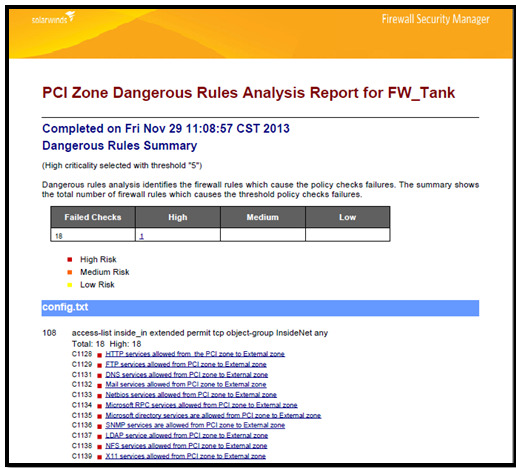 The Security Audit report lists all of the policy checks that were flagged (meaning a potential risk was identified), prioritized by criticality. Managing and tracking firewall changes manually is difficult, time-consuming, and prone to human error. SolarWinds Firewall Security Manager mitigates these issues with powerful built-in tools to automate the change management process. It leverages intelligent, predictive change modeling to allow the user to evaluate the impact of proposed changes before making the change. FSM’s change management capabilities include Change adviser for approval workflows of rule change requests, Packet Tracer for assessing how new or modified rules will alter traffic flow, and Rule Cleanup for identifying unnecessary and potentially dangerous rules. “It creates a separate environment, called the Change Modeling Session, where changes can be safely made and tested before going live on the production environment.” SolarWinds FSM website explained. Firewall Security Manager’s rule cleanup and optimization capabilities identify unnecessary, unused or conflicting firewall rules that can be safely removed. It does this by assessing the rule structure, relationships, and rule usage data to find duplicate, unused, and order-dependent rules. 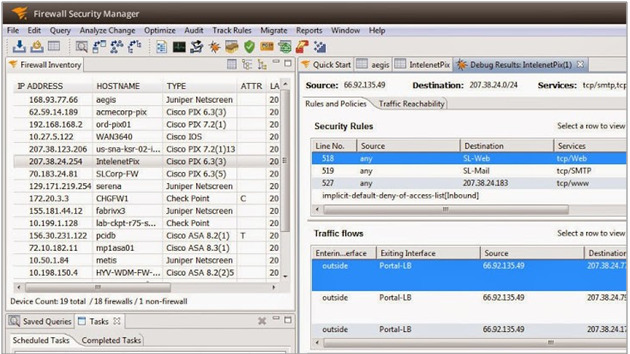 Using the rule usage data, an optimized rule order for improved firewall performance is suggested. It also identifies network and service objects that are not referenced by any ACL or NAT rules and are candidates for removal from the configuration. FSM goes a step further than just identifying which rules can be safely removed; it generates the change script to be applied to the firewall. It’s this intelligent, automated rule cleanup that increases firewall performance and maximizes rule-set efficiency, while reducing errors and enhancing security. 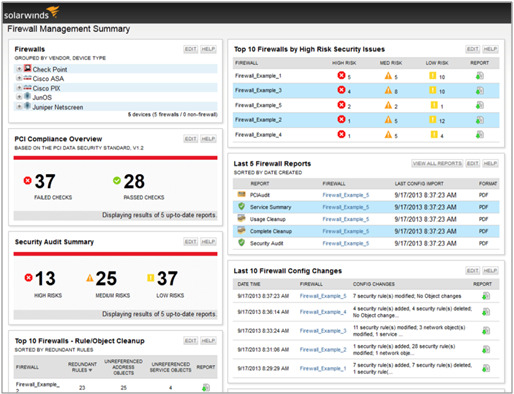 SolarWinds Firewall Security Manager provides an interactive and customizable Dashboard for crucial at-a-glance visibility to quickly and easily assess firewall security and risk status. The dashboard delivers all the essential information needed—both at a high-level and a drill-down detailed level—to identify and rapidly resolve vital issues. It includes critical alerts, configuration change logs, as well as the ability to view and export an array of security and compliance reports. And, all of this can be accomplished with point-and-click simplicity. It should also be noted that SolarWinds Firewall Security Manager integrates with SolarWinds Network Configuration Manager for extended security and compliance management capabilities, including change detection and alerts, automated backups of firewall configurations, and bulk change deployment. In all, SolarWinds Firewall Security Manager is an ideal solution for simplifying and streamlining firewall management in today’s ever-evolving IT infrastructures. The end result is stronger security and compliance, enhanced firewall performance, and time-saving/cost-saving operational efficiencies. Give it a try with a FREE fully-functional 30-day trial, Download SolarWinds Firewall Security Manager (FSM).